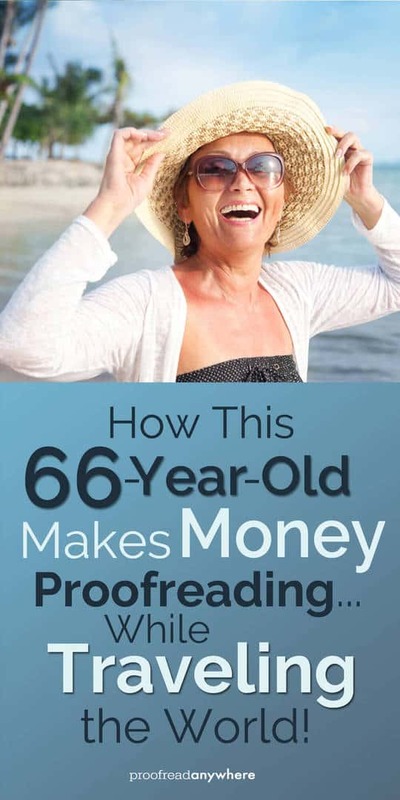 You are here: Home / Blog / How This 66-Year-Old Makes Money Proofreading… While Traveling the World! 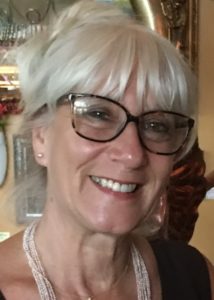 Proofread Anywhere is full of ah-mazing people who have done extraordinary things in their lives… and Lona is no exception. She’s a longtime humanitarian and missionary who decided to learn a new skill later in life. She now makes money proofreading while traveling the world with her husband. She’s been kind enough to share her story with us today, so let’s get straight to it! Q: Welcome to the blog, Lona! Tell us a little about your background. What did your life look like before you crossed paths with PA? I am from Brooklyn, New York, and grew up on Long Island. When I was twenty years old, I chose the career of being a missionary, which led me through Southeast Asia and doing humanitarian aid work for about forty years. My three children were born in Australia, and we have dual citizenship. Leaving Asia, my husband and I joined our son, his wife, and our six grandkids in Monterrey, Mexico, for a year to do missionary work and help with feeding and clothing the poor. From there we went to San Diego, where I worked as an administrative assistant for four years at a foundation helping over fifty humanitarian aid projects. My son and his family moved back to Sydney, Australia. In 2013, we visited them and then headed to the Middle East to do humanitarian aid work again. Leaving there, we went to Prescott, Arizona, where our other son lives with his wife and five kids. There I worked at the nonprofit Big Brothers Big Sisters for three years as a receptionist, office manager, and customer relations specialist. Q: Wow! You have led an amazing life traveling the world with your admirable humanitarian efforts! So when did you start proofreading, and what made you decide to learn how to proofread? English was my best subject. I always had a passion for proofreading. It would always irk me whenever I saw signs or newspapers with errors. I even applied for a proofreading job at my local newspaper because of it. I got the job, but the pay was too low so I rejected it. Because I have always done secretarial and administration work, words were a big part of my life. I would help friends proofread the books they were writing, websites, classes, and more. I was desirous of a job that offered mobility because of our lifestyle and frequent travels. My daughter came across Caitlin’s course and sent it to me. I started the course in November because I wanted to learn how to proofread for court reporters professionally. I liked the small niche and the independence it would give me. Q: And for you, what was the most challenging part of getting started? It was a challenge for me because it had been many years since I was in school studying. I will be sixty-seven years old this year. I researched how to study before I started the course and that really helped me. Since I had to work through the course while holding down a full-time job, I would study at night and on the weekends. It was a challenge for me to learn the Apple iPad and iAnnotate program, as well as learn how to market myself. Q: I love your determination and resourcefulness! What was the most valuable thing you learned during the course? I learned perseverance and to overcome my fears. Taking little steps will help you travel far. Just do a little every day to move toward your goal and you will get there. There’s nothing you can’t do when you put your mind to it. It’s all a learning experience and when you stop learning, you die. I was afraid of failure, but then I realized that the worse that could happen if I failed would be that I would have to pick myself up and try again. Q: That’s a fantastic mindset to have! How long did it take you to find your first client? And how many clients do you have now? It took me about a month from when I started to advertise that I got my first job. Actually, a fellow PA graduate had passed my name on to a court reporter in LA who was looking for a proofreader. She contacted me. That was the middle of March, and I completed ten jobs for her within a month, plus she said there is more coming. I’ve also connected with another court reporter that I’ve done two jobs for. She is sending me more work, and her daughter (who is also a court reporter) is going to start sending me work as well. I am looking forward to that! The Facebook graduate group is just terrific! They are a dedicated group of proofreaders who have gone through the same things as I have with this course. Everyone is working together to help one another and there is no stepping on people’s heads to get ahead. It’s a real team effort. You can always count on someone answering your questions and giving suggestions. It’s so true that by helping others achieve their dreams, you will achieve yours! I have been trying to capitalize on the fact that being in Sydney makes me a day ahead of the time in the States. That means I can get work done quicker for the reporters there. When it is Tuesday at one in the afternoon in Sydney, it is eight in the evening on Monday in LA. Q: That time difference can really work to your advantage. I know it helped me when I lived in Ecuador 🙂 What advice would you give anyone thinking about enrolling in the course to learn how to proofread? Is it worth the money? Make sure it’s a good fit for you from the beginning. Discipline yourself to make time for study with a work plan. Don’t give up when you make mistakes. It is definitely worth the money for the course, buying books, joining groups, and buying an iPad and the iAnnotate program. I think it will take me about two months to recover my investment, which is a small figure compared to all the funds I will be getting in for my new career. Q: That’s fantastic to hear! What does your life look like now as a working freelance proofreader? I had spent a total of seven years in secular work at a desk confined to one area pretty much all day. When I was almost done with the course, I quit my job, and we then had estate sales and sold all we could, including our motorcycle. Except for our car and a ten-foot truck full of our necessities, we drove to Los Angeles in time for the birth of our daughter’s first child. We then went to Hawaii for a few weeks to visit friends before arriving in Sydney, Australia, for Christmas last year to visit our son and family and friends. Now we are traveling along the beautiful east coast of Australia house-sitting and caring for people’s pets. We are enjoying the beaches, and as long as I have my iPad, internet connection, and clients, I can work anywhere. My husband does handyman work, painting, and building, so he can pick up jobs anywhere too. Q: You are the epitome of the work-anywhere lifestyle! Is there anything else you’d like to share with the PA community? Just realize that this won’t happen overnight. It’s like running a race. Take one step at a time, and keep your eyes on your goal. If I can do it, anyone can. When you get your first client, you will know that it’s been worth all the time and effort you put into the course. Only you can change your life. You will grow in many other ways besides just learning proofreading when you take the course. Lona is pretty much living the dream. She travels the world, spends time with her family, and still makes money proofreading. She’s also proof that you are NEVER too old to learn a new skill! If traveling the world while making money sounds like your dream life, then you should hop on the Proofread Anywhere train. Get started here! I was born, and I am still living in the Caribbean, but I want to do as you and travel and work at the same time. It’ won’t happen overnight as you said but determination will get me there. Continued success to you Lona!